One day you are walking out your back door and find a little plant growing up beside the patio. You wonder what it is, and remember you have a book inside that describes plants in your backyard. 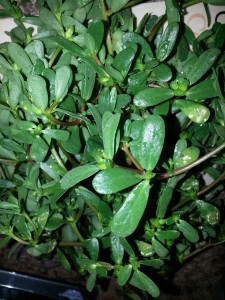 After getting it and comparing pictures from the book to the real life plant, you decide it is purslane. Reading a bit of the paragraph, you discover some incredible information! Who knew that weeds could be so tasty and full of nutrition? This little powerhouse of nutrition is a necessary ingredient in your salad bowl! 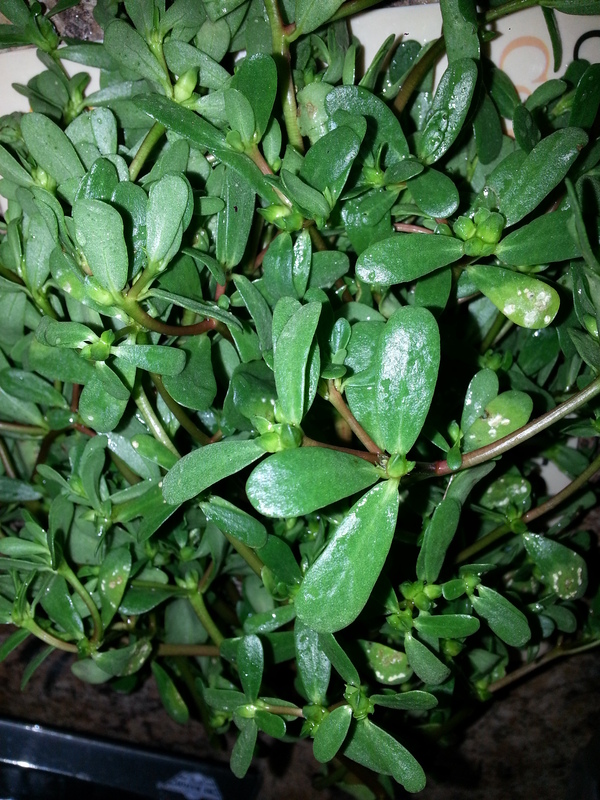 Most people think you have to eat fish, walnuts, avocados etc to get your Omega 3… Well, it turns out that purslane comprises of MORE Omega 3 fatty acids than any other vegetable plant! 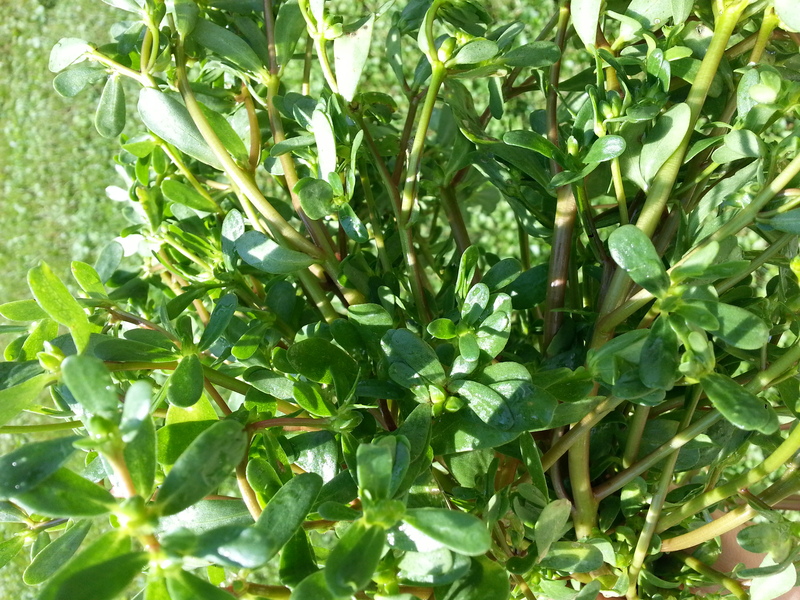 Herbalist James Duke says that 3.5 ounces of purslane contain 400 mg of ALA. (1) If you have some chickens in the backyard and feed them some purslane, they will lay eggs with 20 times more omega’s than regular eggs!! 20 times!!! That is a huge inflation! 😀 Munch munch! It also helps increase uterine contractions, has antibiotic and anti-fungal properties, kills parasites, treats appendicitis and the American Indians infused the leaves in flaxseed as a liniment for a stiff neck! 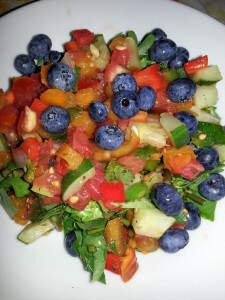 You can see in the photo above, I had chopped some of the leaves and put it in with lettuce, topped it with fresh salsa and blueberries for a sweet crunch. I used a peach vinegar for dressing, but you can eat it with any salad dressing. It can be used in smoothies, salads, potato salad, soups, stir fry or Asian dishes. Go search your yard for some purslane and let me know how you use it!